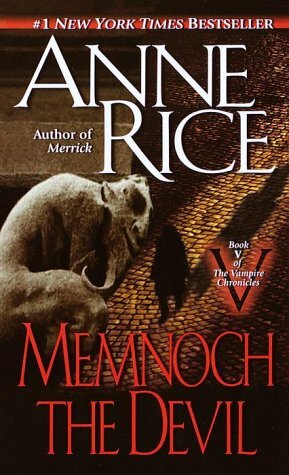 As my Anne Rice re-reading of The Vampire Chronicles continues, I just finished book 5 Memnoch the Devil. This book was one of my favorites in the series the first time around, and though I find it interesting, I don’t hold it as highly as I once did. For those who may be unfamiliar with this novel, the story is about how the vampire Lestat meets the Devil who has an interesting proposition for him. Though the Devil is known by many names he prefers the name Memnoch, and stalks Lestat around as Lestat stalks his next victim. Lestat has become interested in a big time drug dealer with an interest in religious artifacts, as well as his daughter, Dora, a televangelist. Though some of the other vampires from the earlier novel do make brief appearances, the story is mostly about Lestat as he visits Heaven and Hell. Kind of like the vampire version of The Divine Comedy. This book is pretty controversial for the religious topic, and how Rice puts a spin on Christianity. This wasn’t an issue for me. I actually liked what she did with the creation topic. However with age, I find that I’m more interested in the characters I already know, and less interested in this stand-alone novel within the series. If you are someone easily offended about other people’s opinions on religion, then I’d say skip it. It really adds nothing to the rest of the series, and if you aren’t a major Lestat fan you probably won’t enjoy it. The next book in the series is The Vampire Armand, but at this point in the reading you really should stop to read Pandora. This book gives you insight into the vampire history, and will play an integral role in book #6. Pandora isn’t the only book to interrupt the series. After The Vampire Armand, you should stop to read Vittorio the Vampire. 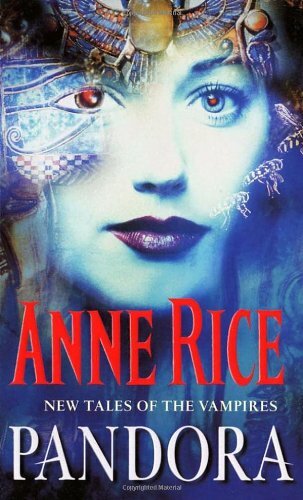 Then things will really get confusing as Rice’s other series about the Mayfair Witches begins to cross over into The Vampire Chronicles. As I re-read the series, I will remind you when you should cross back and forth.